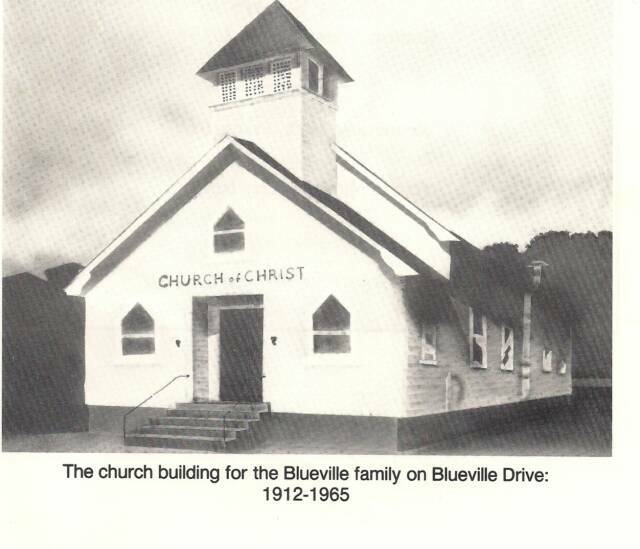 The Blueville Church of Christ began meeting in the old Blueville schoolhouse in the year 1911. There were a few families gathered there to worship God. George Brown, B. Frank Bunner and Dr. R.R. Bunner led the congregation. Some other members were: Mattie Robinson, Jennie Veyon, Mathilda Bunner, Caroline Boyce and Rebecca Jane Bunner. On May 8. 1911 during their first Gospel meeting, five souls obeyed the Gospel. After meeting in the school house for a year or more, a building intended for a theater was purchased from R.S. 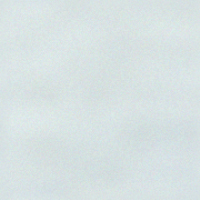 Rogers at the cost of a little over $2,000. It had no electricity until the 1920's. It wasn't until 1941 that they were able to hire a preacher to work full time with the congregation. J. Bernard Mason was the first located preacher. J. Novis Taylor, Donald Jarrett, Lewis Smith, Richard Pryor, E. M. Stevens and Dwight Baker, Bob Cooper, Wallace DeShong, Bill Epler, Fred Ady, Yale Canfield, Ken Mick, Jeff Johnson andJ. Novis Taylor, Will Aleshire. On July 8, 1965 construction began on a new church building on route 119 North. J. Novis Taylor, Donald Jarrett, Lewis Smith, Richard Pryor, E. M. Stevens and Dwight Baker, Bob Cooper, Wallace DeShong, Bill Epler, Fred Ady, Yale Canfield, Ken Mick, Jeff Johnson andDonald Jarrett, Lewis Smith, Richard Pryor, E. M. Stevens and Dwight Baker, Bob Cooper, Wallace DeShong, Bill Epler, Fred Ady, Yale Canfield, Ken Mick, Jeff Johnson andJ. Novis Taylor, Will Aleshire. On July 8, 1965 construction began on a new church building on route 119 North. Will Aleshire. On July 8, 1965 construction began on a new church building on route 119 North. J. Novis Taylor, Donald Jarrett, Lewis Smith, Richard Pryor, E. M. Stevens and Dwight Baker, Bob Cooper, Wallace DeShong, Bill Epler, Fred Ady, Yale Canfield, Ken Mick, Jeff Johnson andDonald Jarrett, Lewis Smith, Richard Pryor, E. M. Stevens and Dwight Baker, Bob Cooper, Wallace DeShong, Bill Epler, Fred Ady, Yale Canfield, Ken Mick, Jeff Johnson and Will Aleshire. On July 8, 1965 construction began on a new church building on route 119 North. On July 8, 1965 construction began on a new church building on route 119 North. On November 14, 1965 the first service was held in the new church building with 116 present in the assembly. On January 30, 1951 property for a parsonage was purchased from Authur Veyon, the brother of one of our members- Katherine Sinsel. On March 16, 1976, the Wycoff property was purchased as a parsonage. On August 1, 2008, that property was sold to First Community Bank of Grafton and torn down so a new bank could be built on the property. but give him a monthly housing allowance. We are currently in search of a new preaching minister at Blueville.